I’ve made this recipe every week since I’ve discovered its deliciousness! 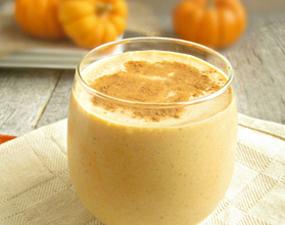 Blend and top with a sprinkle of cinnamon – you’ll swear you’re drinking pumpkin pie. Enjoy! !